“When I came to you I was very sad and disturbed by my economic state that for unknown reasons went through dramatic ups and downs. Truly, I came with lot’s of curiosity and suspicions, and despite of all the fears and my inner walls, amazing things happened. My joy of life came back, I lost weight without any diet. My relationship with my son has become wonderful and he himself has gone through an unbelievable change! I have rebuilt myself and my business. I have wonderful business deals, many new high quality costumers, lots of great feedback and appreciation for my work. to a new apartment in a new area, two new working places that give me complete freedom. I’m full of energy! 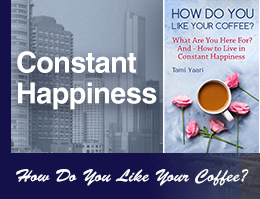 The work with Tami is for people who want to go through a change fast! Everything was opened! My life, the world. The control over my life has returned. The joy and amazing energies have returned. I’m sharp, focused, happy, understanding and having the capacity to embrace what is happening. “Something amazing has just happened! For over two years I’ve been trying again and again to apply for a senior position in a municipal council. It seemed as if I had no chance at all. This week, only a week after we began working together, I was chosen for a very high position in one of the leading municipal councils. This job is perfect for me. I could only dream of it. I’m so excited and happy! “Tami dear. In the last summer I attended your lecture. I enjoyed every minute, and the most important thing, ever since I’ve been experiencing abundance. I have no explanation for it! your lectures and seminars, heard your audio programs and I must tell you, Its its amazing!!! How is it possible that in five different lectures of yours you never repeat yourself?! Each time you teach a completely new thing. The feeling is that one shouldn’t miss a word. The next word is already a new treasure. In a relatively short time I’ve learned so much from you. “Thank you so much for the marketing seminar. You gave me tips that are worth millions! 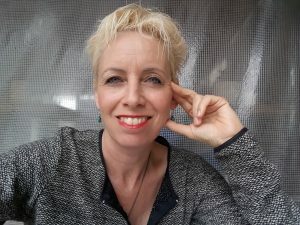 I changed a lot of my attitudes, the way I present my business offer to my costumers, the descriptions of my services on the website and more. Your personal talk with me right at the end was so right on. A great thank you! “Today I signed a contract with a publisher for my first book! So many thanks for your precious support. Like always, you are so helpful. “I’m so moved by your seminar. “You’re so knowledgeable ! Thank you for a very powerful class. You are such an inspiration and a great life mentor. “Thank you for this lecture. “The course was a rare experience for me, not something you meet every day. I’ll remember it forever. I wish you all the blessings for your life mission. I finished the Money seminar with a great feeling. Awake, refreshed, full of energy and ready for action. The teaching was very focused, direct and practical. “Every thing you said in the lecture was clear. The simplicity in your explanations amazed me. “A big thank you for your seminar. I enjoyed it a lot. It refreshed my thinking and general approach to just everything. Already the next working day I felt different, more focused. Regarding my actual doing I would say a miracle had happened. both in my energy and also in the feedback I got. The changes inside of me happened on unexpected levels. It was amazing! So immediate, simple and effective! Exactly what was needed. “This class was incredible! It is so uncommon to give so much value for free. 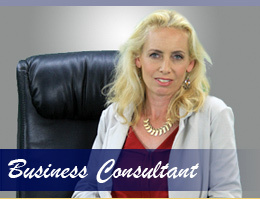 “Your business seminar was a real pleasure. You teaching is pleasant and powerful. It was excellent. “Wow! incredible! I didn’t expect such a powerful experience. So real and true, Full of energy and money. I was looking for the solution in the wrong places. “From the moment I saw you on T.V I knew you would be very mindful for my life. you’re a servant of light; Powerful, sharp, clear, sensitive, Inspiring! with Integrity, honesty, happiness and pure generosity. “That is amazing! In four days I’m doing something I wanted to do for years! “immediately I felt the uniqueness of this lady. It feels as if she walks where she wants. All of her strides open the way as if there are no limits. “I was stuck financially and I knew that the blockage was somehow in me. Right from the first class its hard to describe in words the change that took place. I started to breathe, to be more present. My self confidence has grown. If I truly adapt what I got here to everyday life, yes, its life changing! I never imagined what I could get in your seminar. “Thank you for directing me with such clarity. It’s so much easier now to create out of focused and aware choice. Something has opened in my mind and creativity. Also practically I have many more business phone calls. Every time I’m in a junction in my life, You are there. 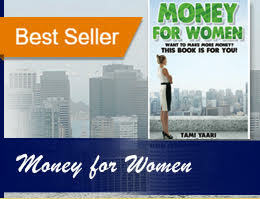 Tami leads you in a way that helps you to discover your endless inner richness. She is so accurate. And she always is totally present in the here and now. I get here my life! It’s a must for everyone to try. my feelings after your consultation. I thank you from the bottom of my heart, and you are welcome to put this letter on the website in the hope that as many people as possible can get help from you. if it can be remedied or helped at all. We cannot see, detect or understand how to use the tools at our disposal. and indeed I was not wrong. but also a new feeling of significant relief, of repair. to give themselves a meaningful gift like this and to experience consultation with you. I heard whispers about one of my students being a well-known spiritual personality. of international renown, I was pretty suspicious. serious and skilled students on the business team. and I discovered an amazing woman. that always leaves me open-mouthed. Apparently, she is not called “The One with the Power” for nothing. it is incredible that one does not have to dig for years…in an instant! is what would bring all my thoughts and dreams to actuality. 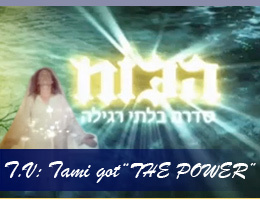 and then I came to Tami. And as soon as I met her my life began to change. She is an amazing person! a feeling of joy, optimism, great faith and above all gratitude. and at the speed of light! After the phone call between us, I started getting invitations for job interviews. The phone calls, that for a long time I had not received at all were like a true miracle. “Simple words might miss the size of my appreciation and gratitude to you. At each of our sessions you helped me focus on the next goal and the next step. My life got a whole new direction, true, accurate and real. I learned to bring light, good energy and true happiness into my life. The training I was privileged to receive from you is so precise. the path of truth to which there is nothing purer and right. Thank you, Tami for the light, guidance, direction, for everything! 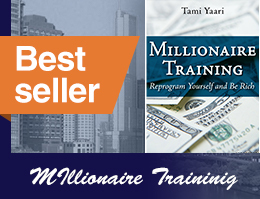 “Tami Yaari is a gifted teacher. For me, studying with her was an eye and heart-opening experience. how to open doors of understanding and tools for change. “Like waving a magic wand in less than one hour there was a transformation of feelings! At the beginning of the class I experienced fear, doubt and heart pangs. But soon they were replaced by a sense of security and calmness. Self assurance replaced the inner voices of fear and doubt. “I didn’t want to leave the hall at the end of your lecture. There was so much energy there. It’s the second time you moved me to tears. into the “success team”. I actually cried from happiness. and finally am ready to break out of the delusions I lived in. I’m not afraid anymore from power nor from being so vulnerable. and my internet shops are making more money!